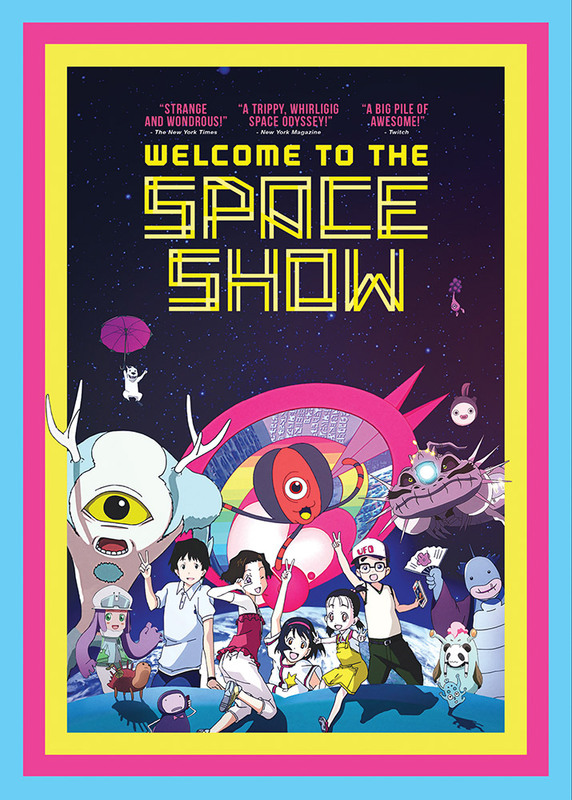 In Welcome to the Space Show, while out looking for their missing class pet, a rabbit named Pyon-Kichi, five elementary school kids on a school trip find and rescue a dog that turns out to be an alien. He invites them to visit the moon as a reward for helping him. However, through a strange series of events, they become stranded and must make their way across the galaxy to get to his home world and then return to Earth. Special Features: Interview with Director Koji Masunari, Interview with Character Designer, From Storyboard to Film, Trailers, TV Spots. Other than the interesting worlds I didn't find this a mind blowing experience. I don't really understand the big deal it received from Twitch and the NY Times. The planets and aliens were cool and all, but when paired with a moderate storyline it just doesn't add up. I give it 3 stars because I believe younger kids would be thrilled by this. Given the colorful design, relatable characters, and kid friendly themes such as teamwork and being one's self this film is definitely more geared toward the G-rated demographic. Not to say that all G-rated films are for children, just that this one in particular did not have enough to be semi-relatable to adults. Also I love the shiny foil slipcover design, though mine unfortunately came a bit mangled.